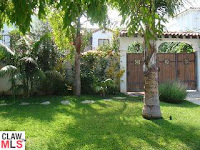 The property at 2030 Fairburn Ave, LA CA 90025, short sale, received a price reduction of 2.81% or $26,000, down to $899,000. Previous listing periods go back as far as 2008 and 2009 where the home had started with a list price as high as $1,598,000. Because this is a short sale, current days on market is irrelevant at this point because of the subject to lender aspect to this sale. This home had shown being in escrow (pending lender approval) since March 28th of this year and then showed a back on market status on the 12th of October. According to the MLS, the home is a 3 bed / 3 bath, 1,488 sq ft home on a 6,075 sq ft lot.